This is the how to page on how to build the SUPER BOOST pcb. Please refer to the disclaimer first. For hobby use only. This design is completely open source. Check the Super Boost project page for the file downloads. Since the board contains almost only SMD parts you should be familiar in soldering them. If not SparkFun has a really nice SMD soldering guide. 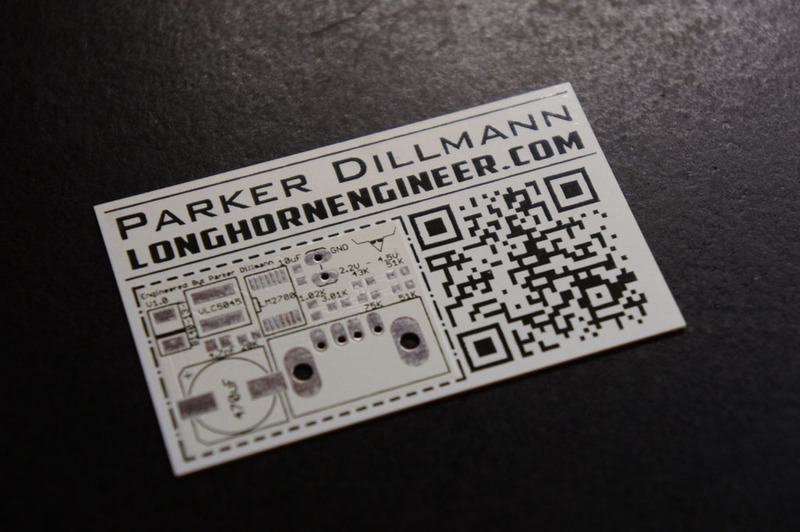 If you received the PCB on a business card you can cut the PCB out around the dotted lines or leave it as is. Start by tacking the LM2700 chip down with a soldering iron in a single corner. I usually tack down the pin 1 on the chip then apply some flux then finish the chip. After soldering the LM2700 down solder the resistors down. Then the two small SMD capacitors. The inductor, diode, and large 470uF capacitor should be soldered next. The inductor is non polarized but care should be taken with the 470uF cap and diode to make sure they are originated correctly. The USB port is the last thing to install. Before connecting your device to charge it use a multimeter and verify that 5V is across the 470uF capacitor terminals. Success! Android phone charging. It is charging at a steady rate of 750mA. Great looking design. Have you had the opportunity to check the output on a scope? You know I havent yet bit I should now! When I designed this board I didn’t have a scope but I do now. Files are here. 12V wouldn’t work If I recall.